This beer has become nearly impossible to find since my original review. I happened to be in Vermont recently the day that it was released and had to stand in line in the morning to get a ticket then come back hours later to actually get the bottle of beer. When I first bought this beer I came home with 10 bottles from a 2 day trip to Vermont now you lucky to get one. If you can find it this is one of the standards against which all other double IPAs should be judged. Nearing the end of the beer I brought back from Vermont but still a few nice beers from Lawson’s and at least one more growler kicking around. I was fortunate to find 10 bottles of this one while in Vermont many of which were shared with fellow beer drinkers in Maine but I did save a couple for myself. This was one of the beers on my short list to find in Vermont and I now see why. It is a double IPA (my favorite style) and one of the most refined beers I have had. Unlike the beers from The Alchemist and Hill Farmstead this one is clear with a nice white head. Tons of aroma with plenty of citrus fruits. Taste has lots of hops up front with a solid malt finish to balance things out. Very smooth and easy to drink even at 8% ABV. So glad I was able to find plenty of this beer to bring home with me. 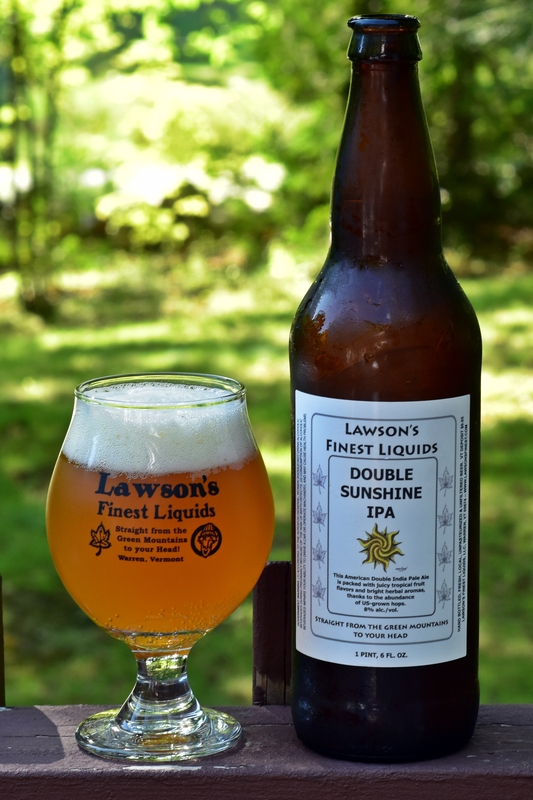 Brewers Description: Double Sunshine IPA – This American Double India Pale Ale is packed with juicy tropical fruit flavors and bright herbal aromas, thanks to the abundance of US-grown hops. This is the only beer I have had from Hill Farmstead’s single hop series. In this series they bitter, flavor and dry hop the beer with a single type of hop. It would be very interesting to taste the entire series to see how the hop varieties change the aroma and flavor of the beer. The series includes both single and double IPAs. This is a double IPA which again is my favorite style of beer and the citra hops give it tons of citrus aromas. Taste has a bit of sweet malts in the beginning that quickly give way to loads of citrus and grapefruit or pineapple flavors. Taste is crisp and clean, very easy to drink for a double IPA and very enjoyable. 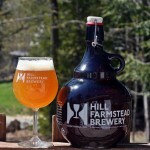 You truly cannot go wrong with Hill Farmstead beer. Brewers Description: An American Imperial Pale Ale bittered, flavored, and dry hopped exclusively with Citra hops from the American Pacific Northwest. 8% abv. Another growler that I brought back from Vermont. 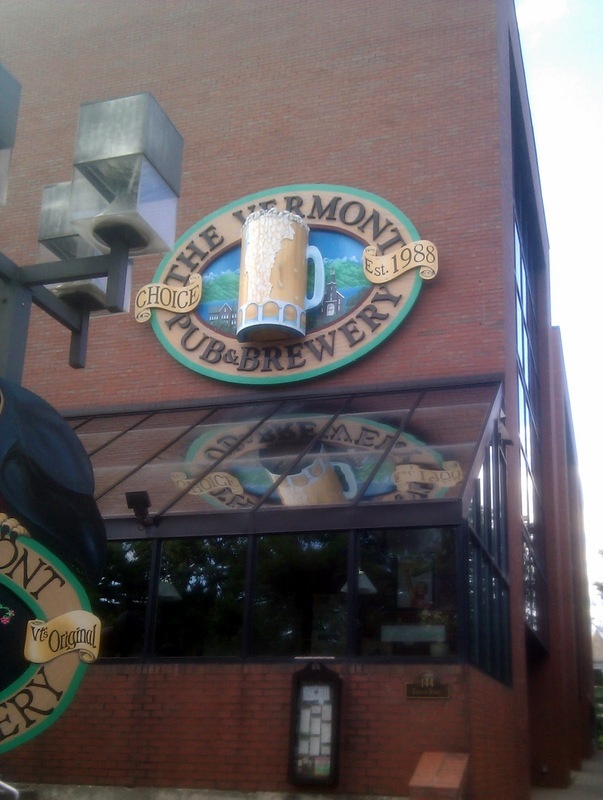 I tried lots of different beers at Vermont Pub & Brewery but never made it to their pale ale so decided to leave with a growler. I may have waited a bit too long before opening and drinking this growler as the beer seemed a little flat. The label states it is best to drink within 30 days which I certainly did but the beer still had very little carbonation and almost no head. Aromas are very subtle but has some solid malt character, minimal hop aroma. Taste follows the nose with a fair amount of malts and a slight hop bite. Overall this is a fairly simple beer but it is drinkable and worth trying if you find yourself in Burlington. 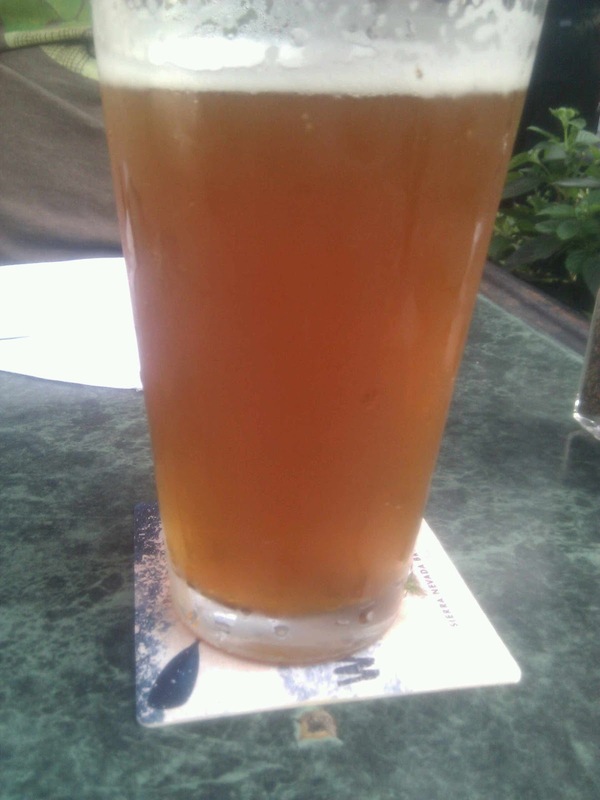 Brewers Description: A light-bodied American pale ale dry-hopped with Fuggles hops. This was the brainchild of Greg Noonan. He had said, privately, that he felt that he had nailed the style for what he had planned and hoped for. As a side note, the inspiration for the name of this beer came from an 8 year old girl named Jenny, about 25 years ago! The name stuck and style stuck. Go figure. Enjoy this light, summer ale while watching your favorite team play! Another superb beer from Hill Farmstead. Everything about the beer from this brewery is as close to perfect as I have found. Every beer is different but still has the huge aroma, beautiful color, unfiltered look and amazing taste. This is a double IPA which happens to be my favorite style of beer and as you can see has a bright orange color, thick white head and just looks amazing in the stem glass that I purchased from the brewery. Lots of citrus and tropical fruits in the aroma and a bit of pine. Flavor follows with loads of hops and a hint of sweetness. This beer has an excellent feel to it and is very drinkable for an 8% ABV double IPA. 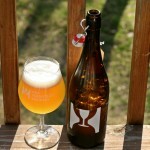 Only one more bottle of Hill Farmstead left but I am planning another trip to Vermont in a couple of months. Will be stocking up again and looking forward to anything new from Hill in the coming months. 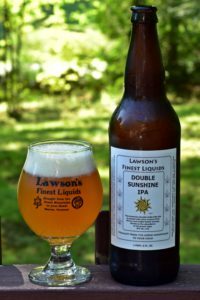 Brewers Description: Our experimental Double IPA experience continues. Hybrid Imperial IPA… Think Double Citra Meets Double Galaxy. 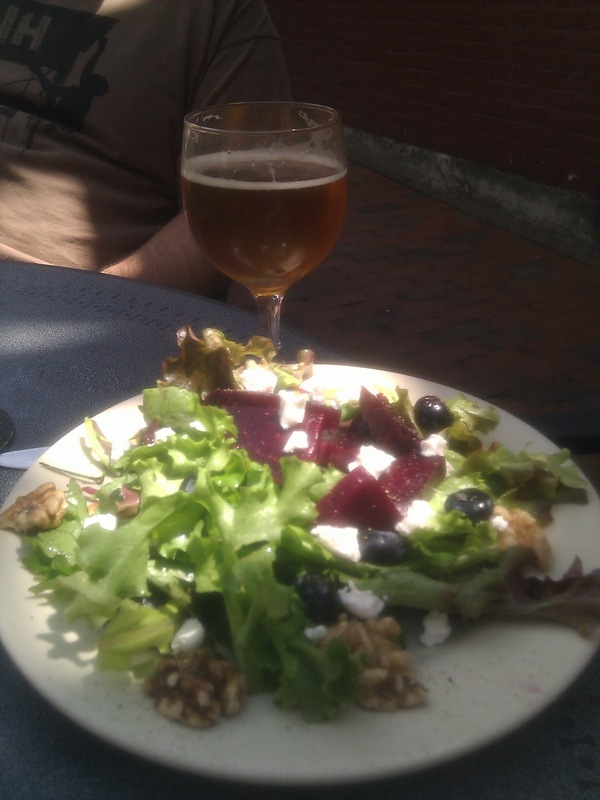 This is an interesting beer from Zero Gravity which is part of the American Flatbread family in Burlington, VT. On my recent trip to Vermont we had lunch at American Flatbread, had several of the beers that were available and ultimately left with a growler of their Ale Communication double IPA. This is a big beer even though the ABV is only 7.3%. Pours a deep orange with a thick off white head. Aroma of pine resin and a bit of sweet malt. Unlike many other big IPAs there is almost no citrus or tropical fruit smell coming from this one. Taste is quite complex and follows the nose with lots of pine resin hops and a nice kick of sweet malts. This one finished somewhere between a double IPA and a barley wine as the hop presence is almost lost in the power of this beer. I was surprised as the ABV is lower than many other hoppy double IPAs but the taste is much more complex. A very good beer from Zero Gravity. Somehow in the middle of all this Vermont beer I ended up sharing this bottle with my brother in law. The story behing this one is interesting (see brewer’s description below). Both Brian from Stillwater and Mikkel from Mikkeller are gypsy brewers. 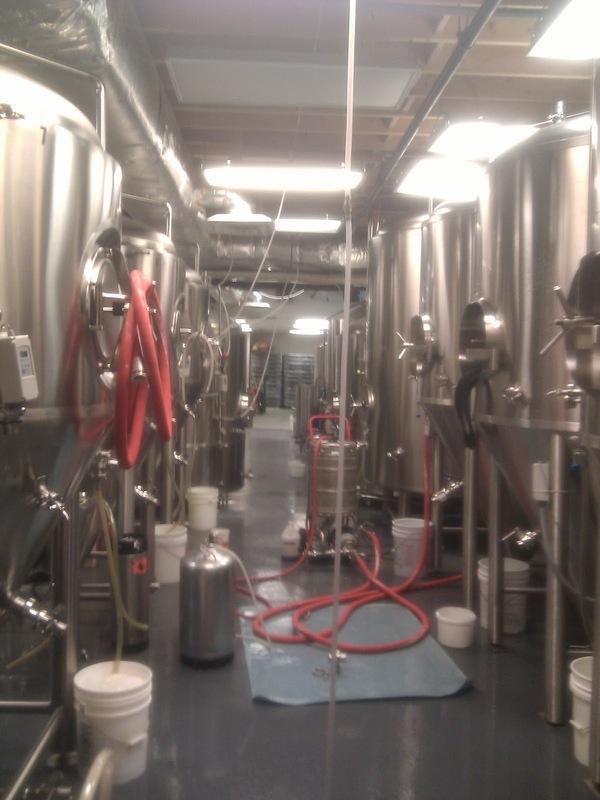 They do not have a brewery of their own and produce beer by visiting other breweries and doing collaborations. An interesting concept and it makes for some fun beers. This one is a saison with a great cloudy orange color with a thick white head that left a 2 inch cap on the beer the entire time I was drinking it. Aroma is of spice and grass kind of a Belgian smell. Taste has a distinct yeast flavor to start with some hops in the middle but nothing that stands out and finishes a bit funky. This one seemed to improve as it warmed slightly so if you happen to pick up a bottle of this and don’t like it right out of the fridge give it a few minutes and come back to it, you might be surprised. Brewers Description: Mikkel and Brian are two of the world’s most unconventional brewers. By designing beers at various breweries around the globe, they have found the freedom to experiment and innovate, resulting in unique beers that often blur the lines of definition. After having met at a festival in Bodegraven, NL the two realized that their first creations both were called Stateside. It was then an obvious decision to make the two recipes into a new product, packed full of piney, resinous hops, and backed by the esters of a farmhouse yeast strain. Anyone that has been following my blog for a while knows that I love growlers. When we went to Vermont (see details of trip here) we visited 6 different breweries / brew pubs in 3 days and I had the opportunity to pickup 4 growlers plus the many 750 ml bottles from Hill Farmstead. 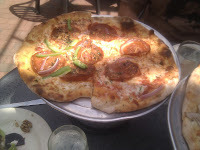 This one is from Woodstock Inn Brewery in Woodstock NH which was out last stop on our way home. Color is pretty typical of a blonde ale, maybe a bit darker but it is filtered and crystal clear. In fact some of the writing on the other side of the glass is visible. This is a blonde ale so I was not expecting much in the way of aroma or flavor and I was right. Maybe I have just been drinking too many big IPAs and I have ruined my palate. Nice beer for a hot afternoon as it is light, refreshing and easy to drink. 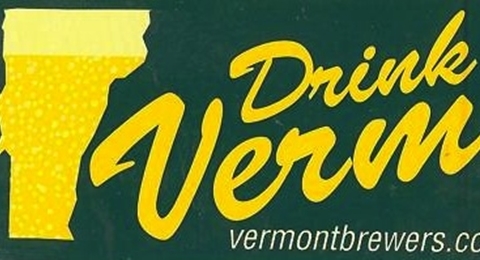 You might start to see a pattern over the next few weeks with lots of beer from Vermont. After my 3 day trip last week I have tons of Vermont beer to drink and review. 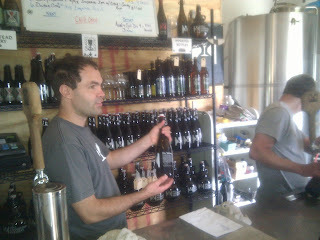 Will most likely start with the Hill Farmstead 750 ml bottles. I am sure the bottles would keep just fine but why chance it as they make some of the very best beer available. This is Harlan which is Hill’s IPA or as they describe it a more aggressive version of Edward. Edward is certainly the best pale ale I have reviewed so it is no surprise that I enjoyed this one just as much. Color is similar a very nice unfiltered orange with solid white head. This beer leaves amazing lacing on the glass too. Aroma is very pleasant – strong but not overwhelming with lots of fresh hop and tropical and grapefruits. The best way to describe the taste on this one is fresh. All types of hop flavor here with some pine, tropical, grapefruit and citrus. Just enough of a malt character to balance it out but the beer still finishes with a slight bitterness. Overall another excellent beer from Hill Farmstead. Brewers Description: Harlan is Edward’s slightly more aggressive alter-ego. Dry Hopped exclusively with Columbus hops.